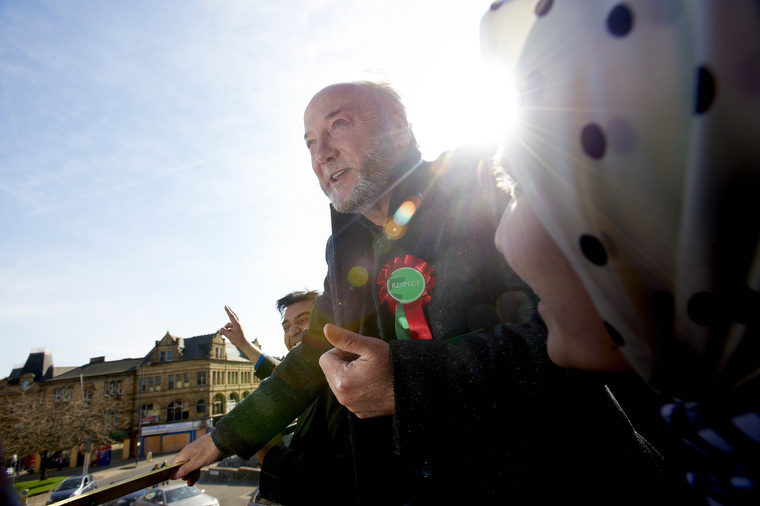 Galloway & The Bradford Spring…. It was early Friday morning when I got the call I’d been waiting for all my life. “Are you free today, victorious open top bus tour around the city”. I thought I was still dreaming – Like most football mad kids I always dreamed about driving through my local town on an open top bus holding the FA Cup, which I secured having scored a last minute winner! 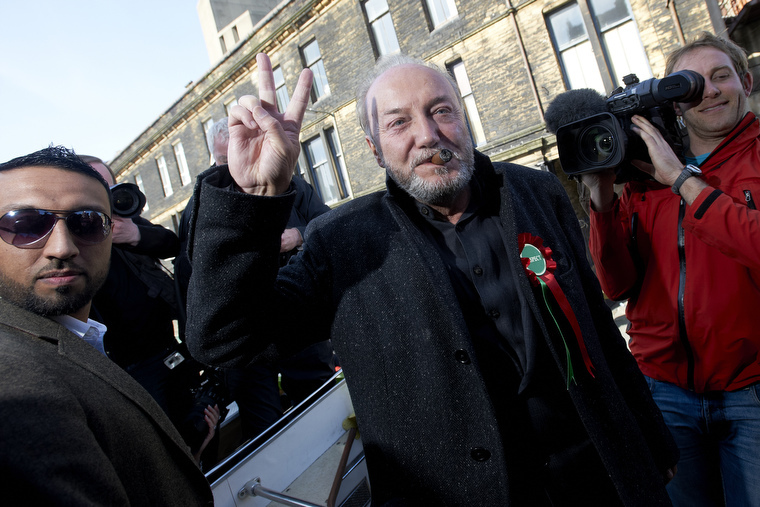 I answered yes straight away…..Great said the voice on the phone, “Can you meet George Galloway in Bradford, the bus is parked next to Morrisons’s. And with that my dream ended & The Bradford Spring has began. First pix is my favourite, last pix was used by The Independent.